ServiceM8 is the app for any service business. It will guide you from job quoting through to invoicing and payment. 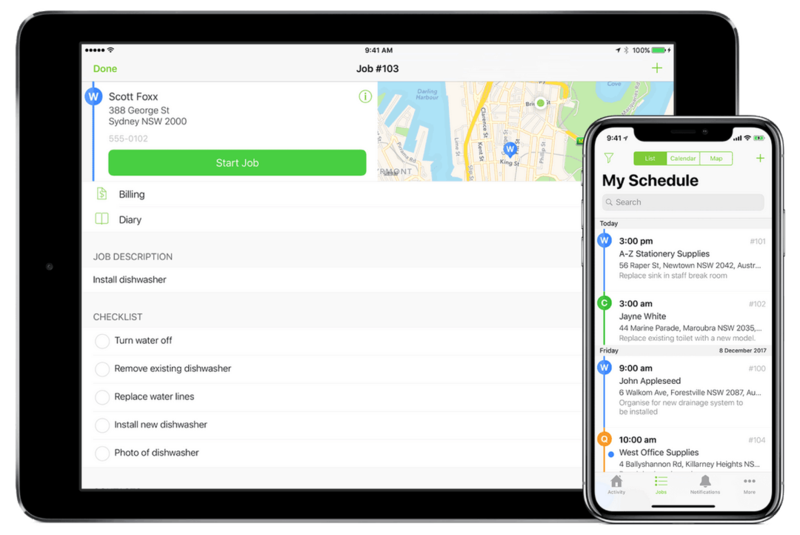 You will have real-time information on what jobs are currently active, what quotes have been issued to clients, and where and when staff are at clients sites. With professional quotes and better communication, you'll win more new work an earn repeat customers. "With ServiceM8 we no longer struggle in the 'paper war'. Our guys aren't sitting in the smoko room filling out mountains of paperwork." "ServiceM8 has cut our administration time by over 50%." "I choose ServiceM8 because it allows me to take control of my business with forward planning and time management options. " "ServiceM8 is an intergral part of our business. We couldn't work without it." "I used to spend 2 hours on each site inspection & another hour on reports. Now I save time by starting reports wherever, whenever. "